TSTER 8/10 FULL IN ORIGNAL BOX Koh Gen Do Aqua Foundation Illuminator-Color:IL00ONE STEP FOR INSTANTLY RADIANT SKIN. The new brush applicator makes it easy to target tricky areas, including the inner corners of the eyes, cheekbones, and cupid’s bow. Koh Gen Do Aqua Foundation Illuminator is available in two shades to give your skin the glow you’re looking for. By Koh Gen Do. White : White Aqua Foundation Illuminator highlights and brightens your face with a fine, natural finish. Koh Gen Do Maifanshi Aqua Foundation Illuminator #IL01 0.61 Oz. Koh Gen Do Maifanshi Aqua Foundation Illuminator has the following features Apply as an illuminator after foundation to diffuse fine lines, uneven skin surfaces and brighten. Adds directly into foundation to increase skin??. The convenient powder duo features two shades so that you can custom-blend hues to perfectly match every area of your brows. The easy-to-use, double-ended brush allows you to target naked patches and re-shape your brows without harsh lines or noticeable edges. Koh Gen Do Moisture Foundation, Warm Med-Light, Unscented, 20 g.
Decades later, it remains an insider favorite for skin-pampering ingredients that enhance the beauty and luster of your natural skin tone. Product Details. If it is new it must still be new, unopened, and unused. Pictures show the exact item that you will receive. Brand New Koh Gen Do Maifanshi Aqua Foundation 013 1.01 Oz. 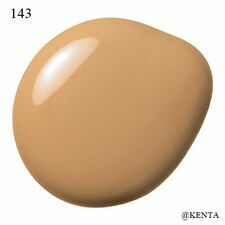 Color: 013 - Cool. This skincare-infused foundation provides a luminous finish, as well as buildable coverage that smooths the appearance of pores and imperfections. 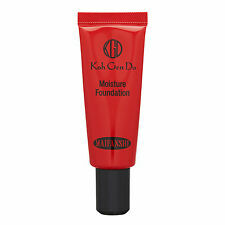 4.5 out of 5 stars - Brand New Koh Gen Do Maifanshi Aqua Foundation 013 1.01 Oz. 2 product ratings2 product ratings - Brand New Koh Gen Do Maifanshi Aqua Foundation 013 1.01 Oz. Koh Gen Do Maifanshi Aqua Foundation 30ml SPF25 PA --- Warm 113. $69. Condition is New. Koh Gen Do Aqua Foundation #213 WARM !PLEASE READ DESCRIPTION! Koh Gen Do Aqua Foundation #123 WARM !PLEASE READ DESCRIPTION! Koh Gen Do Aqua Foundation #002 COOL !PLEASE READ DESCRIPTION! Three boxes new, never opened; Koh Gen Do Aqua Foundation, Shade 123, original formulation. Two BNIB Koh Gen Do Aqua Foundation Shade 123 (Bottle pictured is my own--to show the bottle.). Koh Gen Do Aqua Foundation 213 WARM no cap !PLEASE READ DESCRIPTION! What you see is the actual item you will receive. Item is sold as is. The new brush applicator makes it easy to target tricky areas, including the inner corners of the eyes, cheekbones, and cupid’s bow. Choose the white shade to radically brighten dull and sallow areas or sheer beige to add romantic luminosity. Trending at $39.64eBay determines this price through a machine learned model of the product's sale prices within the last 90 days. Koh Gen Do. Size : 0.71oz, 20g. Contains Hydrolyzed Yeast Extract and Aloe Barbadensis Leaf Extract that hydrates and conditions the skin. Water, Isotridecyl Isononanoate, Octyldodecyl Lanolate, Sorbitan Isostearate, Cyclopentasiloxane, Butylene Glycol, Glycerin, Tribehenin, Simmondsia Chinensis (Jojoba) Seed Oil, Squalane, Butyrospermum Parkii (Shea Butter), Hydrolyzed Yeast Extract, Aloe Barbadensis Leaf Extract, Tocopherol, Magnesium Sulfate, Oleyl Alcohol, Phenoxyethanol( /-) TALC, Titanium Dioxide, Iron Oxides, Aluminum Hydroxide. Koh Gen Do Moisture Foundation, Warm Medium, Unscented, 20 g.
Decades later, it remains an insider favorite for skin-pampering ingredients that enhance the beauty and luster of your natural skin tone. For all skin types Not Tested on Animals Gluten free Formulated without Artificial Colors, Synthetic Fragrance, Mineral Oil derived from Petroleum, Paraben. Kou Gendo (Koh Gen Do). Trending at $50.12eBay determines this price through a machine learned model of the product's sale prices within the last 90 days. ○ Take 1-2 push of Aqua Foundation on the palm of your hand and scatter it throughout your face. ○ Apply quickly to the entire face from the inside to the outside. ※ If you use make-up sponge, you can easily make it easy to blend.